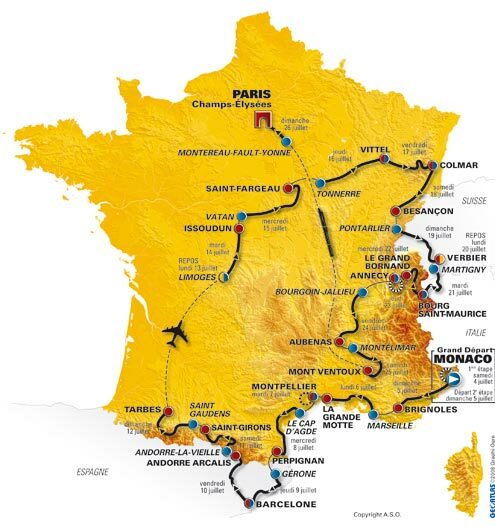 Running from Saturday July 4th to Sunday July 26th 2009, the 96th Tour de France will be made up of 21 stages and will cover a total distance of 3,500 kilometres. 20 Category 1, Category 2 and highest level passes will be climbed. 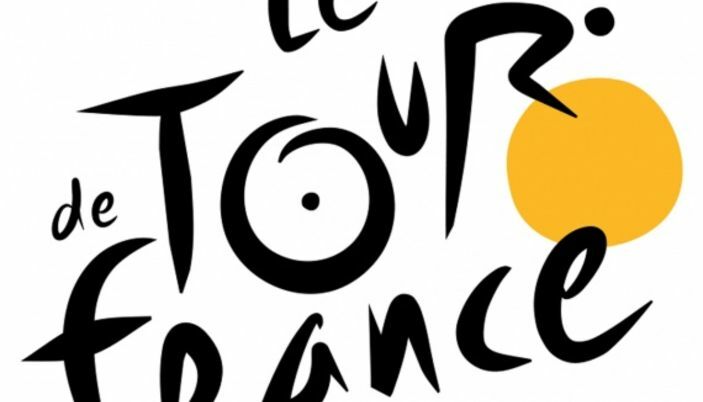 This is the first time the Tour de France will visit Gerona, the gateway to Spanish Catalonia. The town has hosted cycling’s elite several times for the Tour of Catalonia, in particular a time-trial that Chris Boardman won in its streets in 1997, but it has never been a stage on the Tour of Spain. The Vuelta a España has stopped in Gaudi’s city 34 times. French fans remember two races. In 1978 Bernard Hinault won the time-trial and put on the Amarillo jersey, which he never took off. In 1995 Laurent Jalabert took a decisive option on the final victory on exactly the same model. The tiny Principality of Andorra lies nestling in the mighty Pyrenees mountain range. Its geographical features present a major interest for the Tour de France, which has got into the habit of regularly pitting the racers against gruelling climbs up to its ski resorts. The last time the Tour passed through, in 1997, Jan Ullrich performed a solo number in the final stretch leading to Arcalis, where he signified his seizure of power. This is where the 2009 Tour’s first high-elevation finish will take place. Carlos Sastre, Alberto Contador and Oscar Pereiro, winners of the past three Tour de France editions, are scheduled to attend. Team directors, various cycling luminaries and the media en masse are also expected. Lance Armstrong, who retired in 2005 after claiming the last of his seven Tour de France wins, was also planning to attend. He recently changed his mind when he said his participation in the event is now uncertain. Video: The Lance Armstrong come back ?